The 2012 lineup of the Garmin-Cervélo team will be unveiled today at a function in Boulder, Colorado, and one of the new riders on the roster will be New Zealander Jack Bauer. The 26 year old will make the step up to the big leagues after spending two seasons on continental team Endura Racing. Bauer spoke to the Denver Post about his background as a personal trainer and the trying times he had to go through to get to cycling’s elite ranks. “I had to get up too early and go to bed too late. People need personal training outside of standard business hours. That did not suit me as a cyclist trying to train. If you lose sleep, you slow down on the bike. Last year the Kiwi gained some attention when he won the national road championships, outsprinting well-established professionals Hayden Roulston and Julian Dean. He continued his progression into 2011 and was knocking on the door all season, until another breakthrough victory came in stage two of the Tour of Utah, this time holding off Liquigas-Cannondale fast man Elia Viviani. Bauer is one of a number of new signings for Garmin-Cervélo that could prove to be brilliant next year. He joins South African Robbie Hunter who returns to the team, and who recently spoke about that in a video interview, while Fabian Wegmann (Leopard Trek), Sébastien Rosseler (RadioShack), Nathan Haas (Genesys) and Koldo Fernández de Larrea (Euskaltel-Euskadi) are expected to make their debut in Argyle colours. Raymond Kreder, Alex Howes, and Jacob Rathe will also make the step up from the team’s Chipotle development squad. It is still unclear whether Thomas Dekker will be made a permanent feature of the ProTeam. 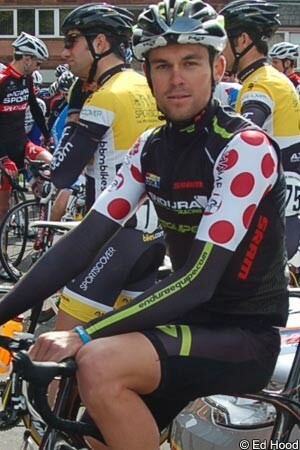 He returned from a two year doping suspension and rode for the development team this season. It is known that Jonathan Vaughters wants to give him a shot with the team, and with the rider having flown to Colorado for the team’s training camp, it would be a big surprise if he is not part of the team launch. Alex Rasmussun’s future is also unclear after he was signed by Vaughters but then was confirmed as missing out of competition tests.